This week at GDC Google made waves and offered a new perspective on the future of gaming. As Google puts it, “The future of gaming is not a box. It’s a place.” As a gaming platform, Stadia aims to disrupt and change what Google sees as an antiquated way of gaming. Google wants gaming to be a place free of loading screens and free from buying expensive hardware, while giving more people the opportunity to play. Similarly, Microsoft aims to go after the same goals with its cloud gaming option, xCloud. On the surface these companies are chasing admirable goals, however one question is still on our minds: Who exactly is all this for? 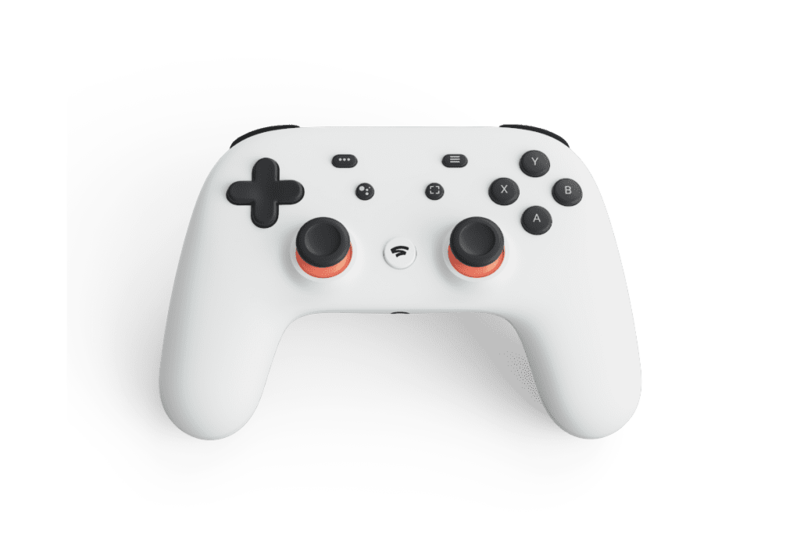 A cursory look at some of the release details for Stadia shows Google is aiming for select markets for its initial rollout: the U.S., Canada, U.K., and Europe, markets where console sales have not slowed down in the past year. NPD Group, a market research group that tracks sales data for the North American games industry, reported in November 2018 that hardware spending alone has increased by 14% YTD, with the hardware market alone valued at $3.9 billion. This means Google is already fighting an uphill battle in an industry that is still breaking sales records on the products Stadia is trying to replace. The numbers alone show people are clearly ready to spend money on gaming consoles, and that their convenience is still a strong selling point. Where Stadia and xCloud are directed is still unclear and ill-defined. Gaming hobbyists don’t seem to be the audience for these products — with many voicing skepticism that a platform like Stadia could even work. Jessica Conditt from Engadget commented on Stadia’s potential impact, saying, “There is no doubt in my mind that Stadia, once it launches will work. It will load games, and they will be playable. However, Playstation Now exists today and it also functions, but it’s definitely not disrupting the established video game ecosystem.” Perhaps the technology won’t be as intuitive as Microsoft or Google think it will be, meaning casual users will find it hard to engage with these services as fully fledged replacements for traditional console gaming. 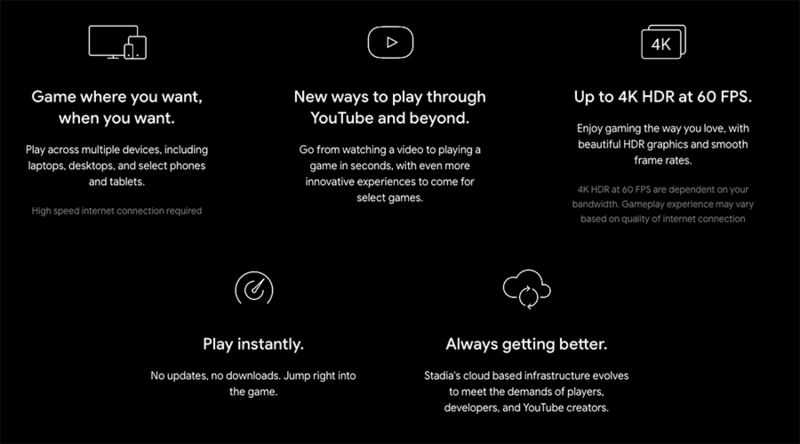 Google is promising a lot with its Stadia service. There are also technical considerations to be wary of as these new services roll out. This isn’t the first time cloud gaming has been attempted — Sony’s been offering its PlayStation Now streaming service for a few years and the performance has never been picture-perfect. One of the biggest hurdles Google will have to overcome is input latency, essentially a measurement for how long it takes a game to respond to a players inputs. Digital Foundry’s first look showed the service has a lot of work to do. Stadia clocked in at a sluggish, but playable, 166ms on a 200 Mbps connection, whereas a PC running locally was able to cut that in half to 79ms. PS Now users have experienced similar issues, with Digital Foundry showing input lag could go as high as 185ms while running Sony’s own software and on their own console. Microsoft’s xCloud has had no formal demonstration or testing yet, but VP of Cloud Gaming Kareem Choudhry has claimed xCloud is already running with a latency of “less than 10ms.” Obviously, that isn’t verified by anyone outside of Xbox, but if that is the case, Stadia is entering the ring with an arm tied behind its back. It also doesn’t help Stadia that so much of the platform is unknown. At this point, all we truly have is a name and a controller. We don’t know what games will be developed for Stadia (despite the formation of Stadia Games and Entertainment); we don’t know how this service will be monetized either. Stadia has made a grand entrance that may have been too much style and not enough substance for developers, hobbyists, or casual gamers. With xCloud, Microsoft seems more willing to keep its hand close to the chest while still giving meaningful insight. Choudhry has also dropped hints that Xbox Game Pass, a subscription-based gaming service, will be operating in tandem with xCloud. At GDC, Microsoft gave more insight into how developers can use xCloud to bring their games to phones. All Stadia has done is offer a vision of the future that they can’t seem to fathom. Games Sell, But Who’s Buying? The bottom line is we don’t know enough to make any prediction on the success or failure of these services just yet. The current state of the game industry however, seems to buck the notion that we will all be replacing our hardware for data platforms and cloud-based solutions. Players of all kinds — including enthusiasts — don’t have enough incentive to drop their Xboxes and PlayStations for Stadia at the moment. So, Stadia and xCloud remain foggy visions of uncharted territory for the games industry. E3 is just around the corner and Google’s Phil Harrison told us we’d be hearing more about the service “in the summer.” Hopefully by then we’ll have more insight into concrete plans about the company’s entrance into gaming. Perhaps Google is right: Gaming is a place, but for now, we’re not quite sure how they intend to get there.